Assigned to investigate a suspected assassination plot against FDR, a young John Fitzgerald Kennedy teams up with actress Lauren Wolfe to prevent a deadly attempt by a Russian, German, and traitor American in April 1945. 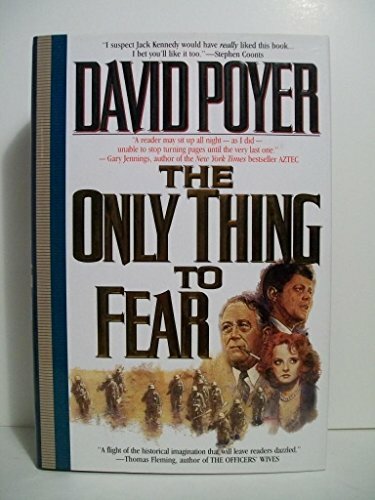 Millions of copies of DAVID POYER&#x2019;s forty-plus books are in print, including The Med, The Gulf, The Circle, The Passage, Tomahawk, China Sea, Black Storm, The Command, The Threat, Korea Strait, The Weapon, The Crisis, The Towers, The Cruiser, Tipping Point, and Onslaught, USA Today best-selling novels of the modern Navy and Marine Corps. Visit his website at www.Poyer.com, or follow him on Facebook: Facebook.com/DavidPoyerBooks.